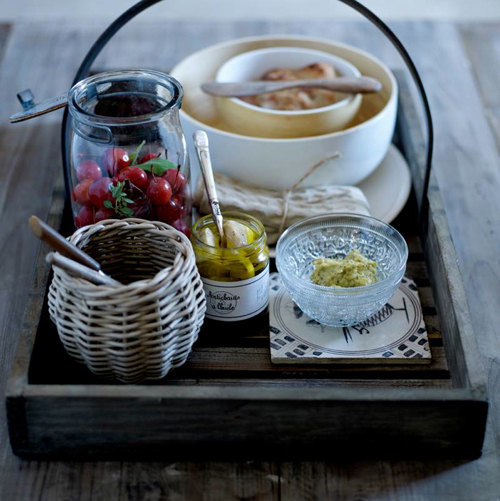 Today I’m loving … this beautiful rustic wooden tray with metal handle. Great for severing tea, to put candles on, for picnics etc. I have one myself and I use it to serve breakfast. Available from Le Souk. aah; where do i find one ! wonderful, makes me think of our allotment. It would suit perfect there!! I could also see that being used in the garden to collect vegetables and herbs.